When God was about to create the universe He had a plan for the world and his spirit ensured that his plans and purposes came to pass, and as such, when God's children operate outside the will of God, they do not see His glory because they failed to agree with Him. 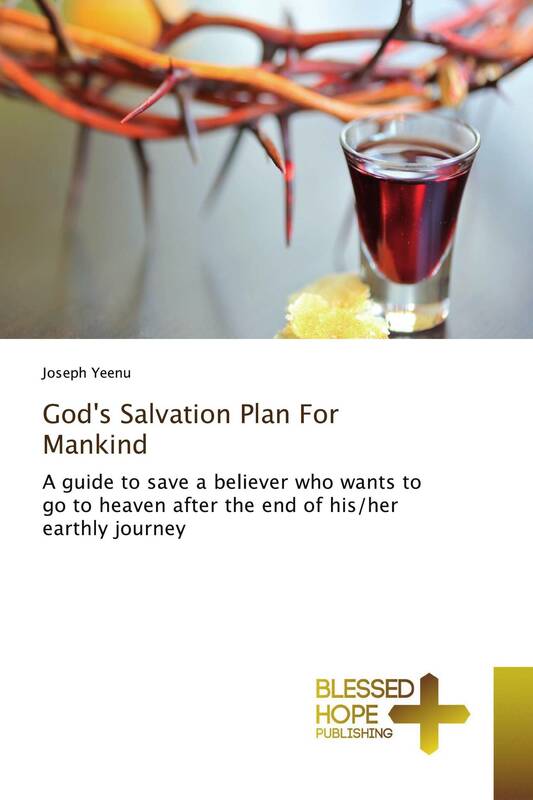 That is why bible says "can two walk together unless they agree", and as such, if we want to walk with God we need to agree with Him, and base on this reason you will realise if God has a plan for the world then He will also have a plan to save mankind, and as such, the book "God's salvation plan for mankind" will take you through step by step salvation process to enlighten mankind to know what they need to do to enable them make heaven at the end of their earthly journey. That is why bible says "God who have began a good work will continue his work until it is finally finished until the day Jesus Christ returns for the second time". Because of this reason, the bible admonishes us that if we call on God who without respect of persons judgeth every man's work we should pass our time of sojourning here in fear shalom.